Accident fatalities in rural areas on average exceeds the number of fatalities in urban areas. This is supported in accident statistics in both Canada and United States. In 2010, there were 1,131 fatalities in rural Canada versus 834 in urban centres, according to Transport Canada. The number of fatalities for rural roads may be skewed somewhat due to the number of major highways that run through rural Ontario and are included in the ‘rural’ designation; nevertheless, these numbers are alarming. On November 14, 2014, two Petrolia citizens were involved in a crash between a farm tractor and a car. The accident occurred on Petrolia Line, west of Petrolia, when the 45 year old driver of a Volkswagen rear-ended a farm tractor pulling a trailer. The 51 year old tractor driver was not hurt in the accident, but the driver of the car was fatally injured. Lambton County OPP reported that it was dark when the collision occurred, but further investigation is required to determine whether the (tractor) trailer’s lights were functioning at the time of the accident. During the same week in 2014, there were four separate collisions in rural communities in Lambton, Middlesex, South Bruce and Elgin County, of which two were collisions with farm vehicles. These accidents resulted in five fatalities. Police cautioned drivers to be particularly watchful for farm machinery on rural roads during the harvest season. The large size of farm machinery demands that they take up more room on the roads; this makes it more difficult for farmers to spot the vehicles behind them and even if they did, there may be no opportunity for the farm vehicles to move over and/or react to a potential rear-ending. Drivers are urged to slow down, make certain that the farm vehicle operator has time to see them, and ensure that there is no oncoming traffic before passing. One of the above mentioned accidents took place in Elgin County, also in the darkness of early evening. In this incident, a 63 year old man died when his westbound Chrysler clipped a John Deere tractor that was pulling farm machinery and travelling in the opposite direction (eastbound). The Chrysler was catapulted into a ditch, then struck a hydro pole. The 17 year old driver of the tractor was unharmed. Defensive driving is equally important for farm machinery drivers as for other vehicle operators. Farm machinery, which is typically slow moving, is obligated in Ontario to use proper lighting and to prominently display ‘slow moving’ signs. Farm machinery has the right to use half the road but if they extend beyond, farm vehicles become a hazard to other motorists. A primary complaint for farm vehicle drivers is that other motorists are impatient and unwilling to drive slowly for 5 or 10 minutes until they pull over or exit the road into the next field. They argue that aggressive driving practices such as speeding are a causal factor in farm vehicle collisions, as in many other types of motor vehicle crashes. In addition to the danger of rear-ending or clipping a farm vehicle, other drivers sometimes pass slow-moving farm vehicles without being 100 per cent certain that there is an absence of oncoming traffic. Unsafe passing near curves in the road or on hills often results in head-on collisions and fatalities, as vehicles have only split seconds to react to oncoming traffic. On their part, drivers stuck behind a vehicle that is moving significantly slower than the speed limit become frustrated, some would say justifiably, when the slower vehicle does not pull over to allow traffic to pass. Under the Ontario Highway Traffic Act R.S.O. 1990, c.H.8, there is no minimum speed for Ontario highways and rural roads; however, the Act states that motor vehicles cannot be driven at such a slow speed on a highway that they impede or block the normal flow of traffic unless the slow speed is deemed necessary, under the circumstances, for safe vehicle operation. Clearly, farm vehicles are not capable of travelling at the speed of normal traffic, and it is necessary that they share roads with other vehicles when travelling to and from fields. However, farm vehicles also have a responsibility to take due care to minimize the risk for other motorists. Farm safety associations recommend to their members to exercise courtesy when driving, with particular attention to pulling over to allow passing whenever possible (Agriculture News) Farm vehicles are urged to, as a rule, avoid busy roads. Also, it has been suggested that farm vehicles avoid driving during dusk or at night, which is when most accidents occur. At dusk, many farmers have finished working in one field and want to relocate their machinery to the next field where they will be starting work the next day, but for road safety considerations it is more prudent to defer this move until daylight, the next morning. Creating an environment where different modes of travel can safely share roads is sometimes a challenge, but is both possible and necessary if we wish to avoid serious injury and fatalities. A similar challenge tasks cyclists and motorists, and negligence on either part often results in catastrophic injury for the more vulnerable cyclist. Motor vehicle accident statistics conclude resoundingly that most accidents are the result of carelessness of some sort and could be avoided with responsible driving practices. 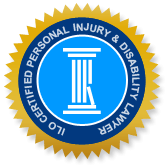 When persons are severely or fatally injured in a motor vehicle accident, the ramifications for the accident victim and their loved ones are huge and life-altering. If you or a family member were hurt due to the negligence of another person, contact the Injury Lawyers of Ontario (ILO). We are a group of experienced personal injury lawyers with local connections in communities throughout Ontario. Let us help you to understand your rights with regards to your unique situation, and obtain the compensation you are owed.